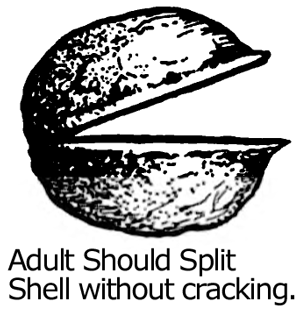 Adult should split shell without cracking. 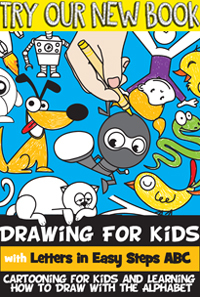 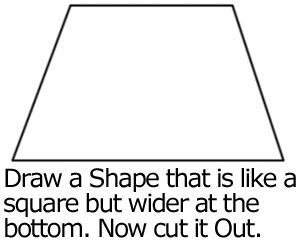 Draw a shape that is like a square, but wider at the bottom. 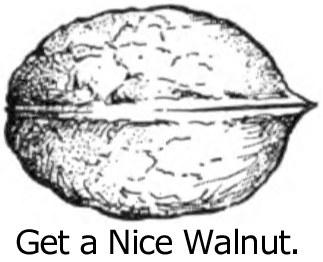 Now cut it out. 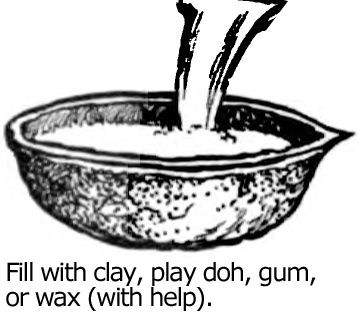 Fill with clay, play doh, gum or wax (with help). 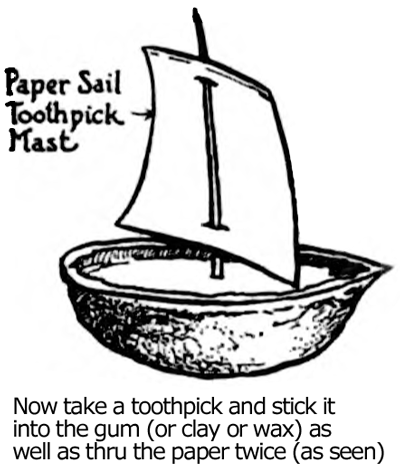 Now take a toothpick and stick it into the gum (or clay or wax) as well as thru the paper twice (as seen). 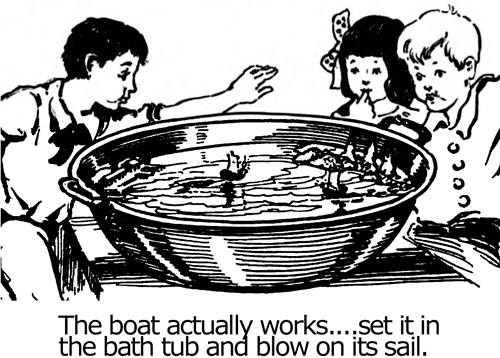 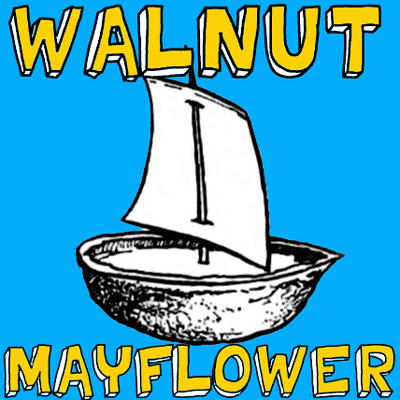 The boat actually works… set it in the bathtub and blow on its sail.